Join us this Saturday to taste the stunning wines of Raventós i Blanc. Pepe Raventós will be with us from 1:00 to 3:00, providing details and insight into one of the finest sparkling wine operations in the world. If you can’t make it between 1:00 to 3:00, stop by any time on Saturday. We will be tasting all day. Pepe Raventós joined Raventós i Blanc in 2001 but his life has always been associated with the grapevine. He gained experience producing wine with Didier Dagueneau in the Loire Valley, Nicolas Chiquet in Champagne, and Jean-Patrick Merignac in Saint Philippe d’Aiguille in Bordeaux. The Raventós family has lived on their estate since 1497. Pepe is the 21st generation to work the land, today comprised of 220 acres of vines, forest, and water, with a specific microclimate influenced by the Anoia River, a lake, two streams, and a hill known as the Turó del Serral. Their calcareous soils, filled with marine fossils, were formed over 16 million years ago and provide the ideal conditions for producing wines with a potent mineral expression. Pepe views the estate as a living organism. Cultivation is strictly biodynamic with an aim to create biosynergies whereby the land, the plants, the animals, and man all work together to form a single agricultural unit. Raventos i Blanc left the Cava DO at the end of 2012 out of frustration at the tarnished international image of Cava. Pepe’s dream is for the Raventós i Blanc wines to have their own designation of Conca del Riu Anoia, the name of the geographical area centered around the River Anoia Basin, between the Catalan pre-Coastal and coastal ranges. The name Raventós i Blanc has become synonymous with great sparkling wines. They are one of the few producers of Spanish sparkling wine that grows, tends, and harvests their grapes from their own property, ferments and vinifies their wines, and then sells them under their label. To borrow a phrase from Champagne, one can truly consider them a Récoltant Manipulant (Grower Producer). Raventós i Blanc is Champagne know-how and innovation imbued with Catalan spirit and terroir. Only cane sugar is used in the liqueur de tirage. A pneumatic press is used to gently extract the juice. The wines spend a disproportionate amount of time on the lees to add richness and complexity. Each of these techniques can be found in the very best of Champagne producers, but only a few in Spain. A structured, fresh and complex blend of Macabeo, Xarel-lo and Parellada from the Vinya del Llac vineyard with vines over 40 years old. Vinya del Llac faces north and has clay soils that release water slowly throughout the vegetative cycle. Deep beneath the surface lies calcareous bedrock with encrusted stone. This limits water reserve, giving the grapes in this flagship plot more structure. The influence of the lake moderates the climatic conditions, avoids heatwaves, and favors long ripening. Aged for at least 18 months on the lees before release. A blend of Macabeo, Xarel-lo, and Parellada with the addition of a small amount of red Monastrell for complexity and to give the wine its pale pink color. From vines in the Barbera, Plana, and Viader plots that have deep soil with a clay loam texture, which provides freshness and elegance. The Monastrell plot, situated on the terraces of the Serral hill, marks the De Nit sparkling wine with its personality. Aged for at least 18 months on the lees before release. 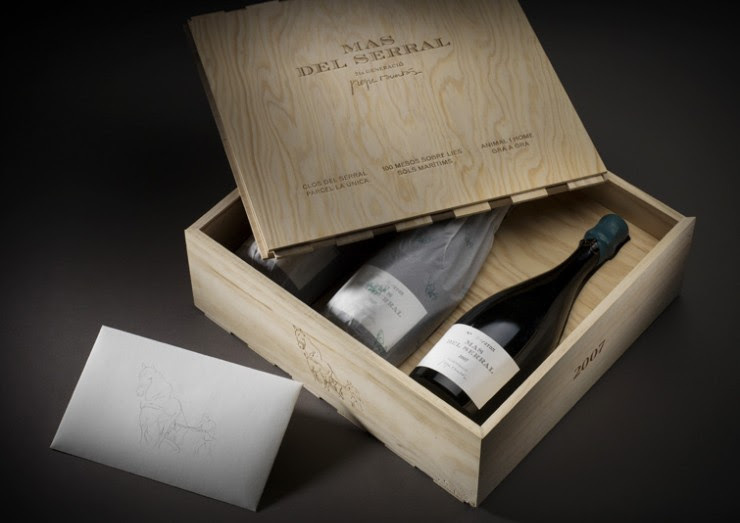 The truly special 2007 “Mas del Serral” is the very first release of this single vineyard wine. Pepe realized in 2005 that Clos del Serral — a northwest facing vineyard planted in 1954 — was ideally suited to create an exceptional sparkling wine. Co-planted Xarel-lo and Bastarda Negre comprise the blend. The fruit for this spectacular cuvée was harvested methodically and sorted grape by grape. The wine spent nine months in tank before being transferred to bottles in June of 2008. It spent nearly 10 years on the lees before disgorgement in February of 2018. Only 2,735 bottles were produced.